DUI charges have been dismissed against California Assemblyman Roger Hernandez. A judge on Tuesday dismissed a charge that state Assemblyman Roger Hernandez (D-West Covina) drove a car with a blood-alcohol level over the legal limit, after prosecutors decided not to seek a retrial. Three weeks ago a jury acquitted Hernandez on one count of drunk driving but deadlocked on a separate charge of driving with a blood-alcohol level of 0.08, just above the legal limit. Prosecutors decided not to seek a new trial on the second count given questions about whether the results of a blood test were conclusive. “We were not confident that we would be able to prove that beyond a reasonable doubt in a second trial,” said Bruce Flynn, a deputy district attorney for Contra Costa County. As a result, the second misdemeanor charge was dismissed by Contra Costa County Superior Court Judge Mary Ann O’Malley. Hernandez has denied that he was drunk when he was arrested at 2 a.m. on March 27 by Concord police officers who saw his state car weaving between lanes. The police officer said Hernandez’s eyes were bloodshot and that he smelled alcohol in the car when it was pulled into the parking lot of the Crowne Plaza Hotel. Police documents filed with the court by prosecutors said Hernandez was driving and there was a passenger in the car. The police report identified the passenger as Darcie Lynn Green, 30. She is a former legislative aide who is community and government relations manager for Kaiser Permanente in San Jose. Now, the Assemblyman will have to win re-election in November in a safe Democratic Assembly District. Hernandez did not fair too well in the June primary election when he finished second to Republican Joe Gardner. Will voters in his district be forgiving or is he toast? Yikes, is right if this report is correct about obesity. The report, produced by two nonprofit public health advocacy groups, projects that Mississippi will continue to lead the nation, with a whopping 66% of its population projected to be obese in 2030, up from 35%. Even Colorado, that bastion of fitness perennially sitting at the bottom of the state-by-state obesity rankings, is projected to continue getting fatter, with 45% of its population qualifying as obese by 2030. 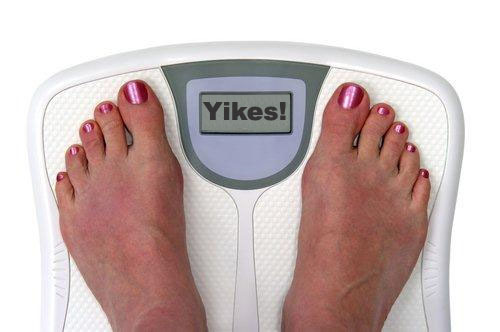 In California, the obesity rates are expected to rise from 23.8% to 46.6%, a near doubling. Again, education is the key. I really don’t think Californans want the sequelae of being grossly overweight or morbidly obese. You know, like diabetes, heart disease,stroke and more cancer. The authors of the report argue that this path will lead to huge increases in cases of Type 2 diabetes, coronary heart disease and strokes. In California, healthcare costs are projected to rise by 16% due to obesity alone. And across the country, the report projects, the costs of preventable obesity-related diseases are estimated to increase by $48 billion per year over the next 20 years. Even more money will be lost due to hits to economic productivity caused by obesity and obesity-related diseases. Here is an interactive map of American obesity. And, the full report is here. Personal responsibility starts with your own health – so Californians get busy eating right and exercising regularly.